Arista Nashville superstar Brad Paisley gave fans a sneak peek at the video for his new single, “Country Nation,” in a segment on NBC’s Today show earlier this morning. The full video can be viewed now here. 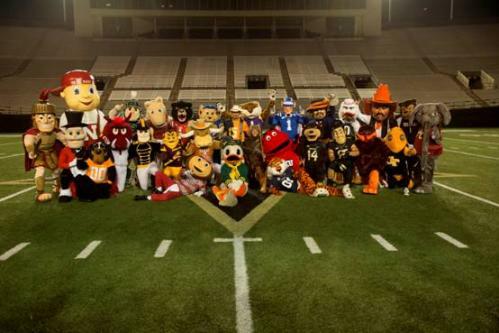 Directed by Jeff Venable and produced by Trent Hardville for Revolution Pictures, the song’s celebration of the blue-collar spirit and our nation’s love for sports colorfully come to life, in part through the appearance of more than two dozen college football team mascots. Tomorrow Paisley will be in New York to headline Today’s Summer Concert Series of the season. “Country Nation” is the newest single from Paisley’s chart-topping album, Moonshine in the Trunk. Suggested Tweet: . @BradPaisley plays @TODAYshow’s Summer Concert Series on Fri, 9/4, view video for “Country Nation” at http://smarturl.it/BPCountryNationVideo! Suggested Facebook Post: Don’t miss Brad Paisley this Friday (9/4) when he plays NBC’s Today show Summer Concert Series, and be sure to view Brad’s new “Country Nation” music video at http://smarturl.it/BPCountryNationVideo!